September is the perfect time to start fresh. With children returning to school and crispness in the air, adults also feel inspired to make positive changes – like packing healthy lunches! However, lunch is the most popular meal to eat out and the least likely to be prepared at home. According to Tracking Nutrition Trends Survey, only 37% of Canadians prepare their lunch at home. Today, we will cover the three steps (three P’s) to master the packed lunch. My follow-up blog will include my 15 favourite lunches (ready in under 15 minutes). The most common reason people do not pack lunches is because they are unprepared. The harsh reality is that healthy eating does not happen by accident. Lunches do not pack themselves and groceries do not magically appear. Therefore, we need to embrace coming up with a plan that works for YOU. Start with setting an intention. 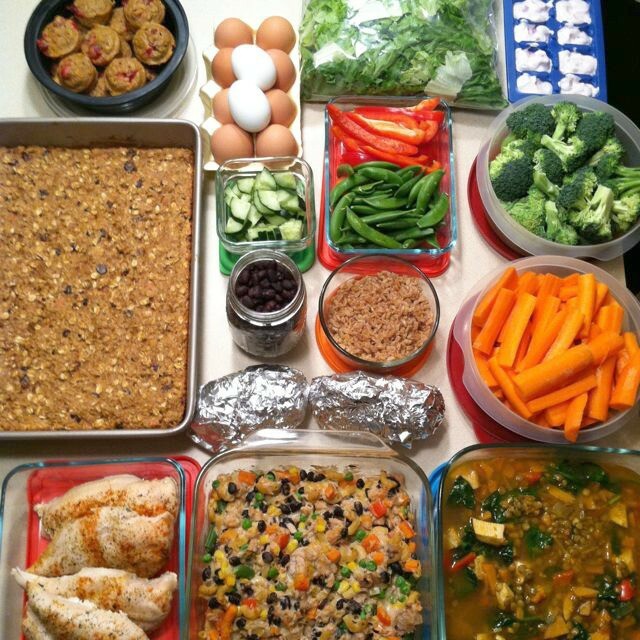 Ask yourself: What do you want to achieve when it comes to packing your lunch? Ask yourself: Where are you currently with this goal? If you rarely pack your lunch, you might choose to pack a lunch every Monday. By acknowledging where you are (without harsh judgement) and then setting an intention, you will be moving forward. No need to pressure yourself to pack lunches five days a week or jump into a complete dietary overhaul. Small steps add up and are often more sustainable in the long-term. After you’ve identified your intention, set aside 10-30 minutes on a Sunday to relax and brainstorm lunch ideas. If you have children, be sure to involve them in this process. Picky eaters are more likely to enjoy their lunch if they are involved in planning. Use a sheet of paper, an electronic document or an app to capture your favourite lunches. 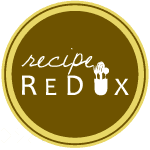 Apps (such as Cookspiration), cookbooks, Pinterest or website/bloggers are fantastic resources for meal inspiration. This will provide focus when you feel uncertain what to make. Remember there’s no shame in including super simple options – like tossing hummus, pita wedges, veggies, grapes and a yogurt in your lunch. Stay tuned for my favourite fast lunch ideas in part two. After you have a number of ideas, slot meals into a calendar so that you can visually see your lunch meals for the week. This will allow for flexibility to switch or modify the plan. Many of my clients find that having a visual layout helps to reduce the stress of deciding what to make. After you have planned the foods you would like to make, we need to prepare or assemble those lunches! Pack lunches the night before: This will tremendously reduce morning stress and rushing. Try getting into the habit of packing your lunch right after dinner. Get your kids helping as well. Planned extra’s: When making dinner be sure to cook more than you will need. For example, cook extra pasta/quinoa or rice, chicken breasts or roasted veggies. These extra ingredients will allow you to reinvent this food and have a different lunch (great strategy if you are not a fan of leftovers). For example, you can use extra leftover spicy chili to make a vegetarian burrito or use extra quinoa to create a Greek Quinoa salad. Healthy Grab & Go’s: Set yourself up for healthy eating success by having options on hand that can be easily incorporated into meals. 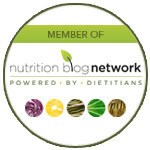 Check out my past post, Stock your kitchen like a dietitian for ways to nutritionally balance your meals without having to run to the grocery store. Easy proteins: Hardboiled eggs, yogurts, cheese portions, pre-portioned nuts, hummus, edamame, beans/chickpeas/lentils, tuna etc. Veggies: Pre-cut veggies and store in a clear container in the fridge at eye level. Fruits: Have fresh fruit on hand at all times (bananas, apples, oranges keep well). Whole grains: Whole grain wraps, English muffins, quinoa, bulgur, rice, crackers, frozen muffins, cereal/trailmix etc. In order to keep up a habit, it is important to have a reward at the end of your new routine. Therefore, how can you make packing your lunch extra enjoyable? You might choose to have cool lunch-packing swag. There are many colourful containers that come in different sizes, with compartments and tight seals. In order to keep your foods cold, it is important to have an insulated bag and a cold pack. I like to remind my clients to get a lunch bag that’s big enough to hold all of your foods and snacks. It’s amazing what you can find for lunch packing supplies at the dollarstore from containers to ice packs to unique napkins and cool cutlery. This makes lunch eating fun for not only children but adults too. If you want your kids to enjoy veggies at lunch, be sure to pack veggies in colourful containers and add dip. Children love dips which increases vegetable consumption by 80% according to research published in the Journal of the American Dietetic Association (2011). Quite simply, make lunch packing a positive experience and you will keep on packing! To master the packed lunch, you will need to plan, prepare and play. Eating well comes down to prioritizing your health and setting the intention for where you would like to be and what is important to you. Wishing you great success and fun in packing your lunches! Read part two, here I share my 15 favourite lunches (ready in under 15 minutes).